The Intensive Worldwide Webinar Review for this season is now open for enrollees! 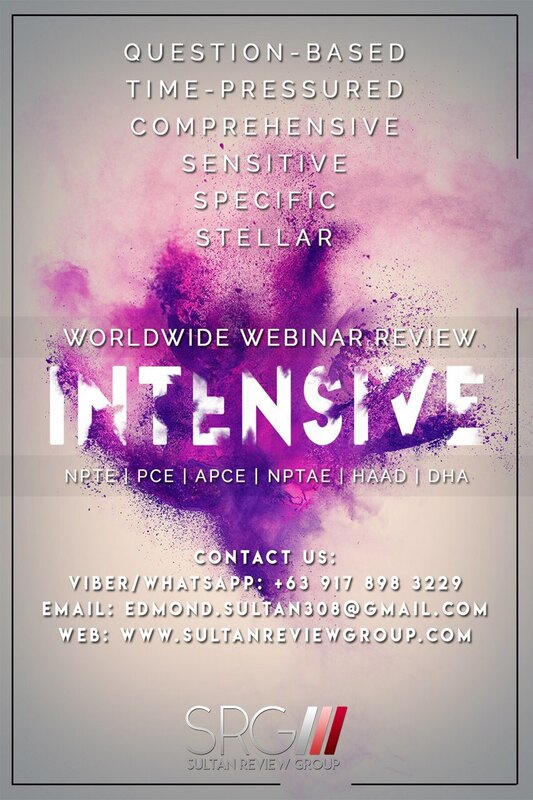 Experience the reinforced two-week, question-based, exam-sensitive review for the NPTE, NPTAE, PCE! The Intensive program of the Worldwide Webinar Review has produced passers from around the world because of its exam simulation approach. This is a tried and tested program for those who want to secure a passing score in the NPTE/NPTAE/PCE! Learn to master the concepts, apply the basics and fundamentals, approach each question with a #heartstrong attitude and cool, calm, collected character! Learn these with the best webinar review provider! Enroll now!